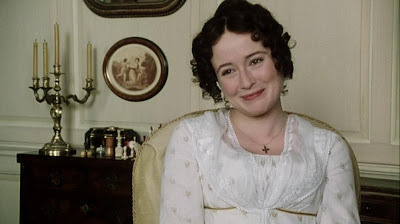 The quotes in P&P, as we know, are one of the best things about the movie. So today, here is a challenge to recognize some of them. Usually it seems we do something a bit more challenging like making you finish the quote or whatever, but to be honest I'm a bit starved for ideas at present so I'm just going to throw some random ones out there, and your job is to guess who said them. Oh, wait, we'll add a bit more of a challenge and make you guess what episode they come from, too. 5 points for each correctly-guessed character and another 5 for guessing the right episode. Have fun! Answers will be posted on Saturday. 1. Yes, yes, but this is all extremely vexing. I am QUITE put out! 2. 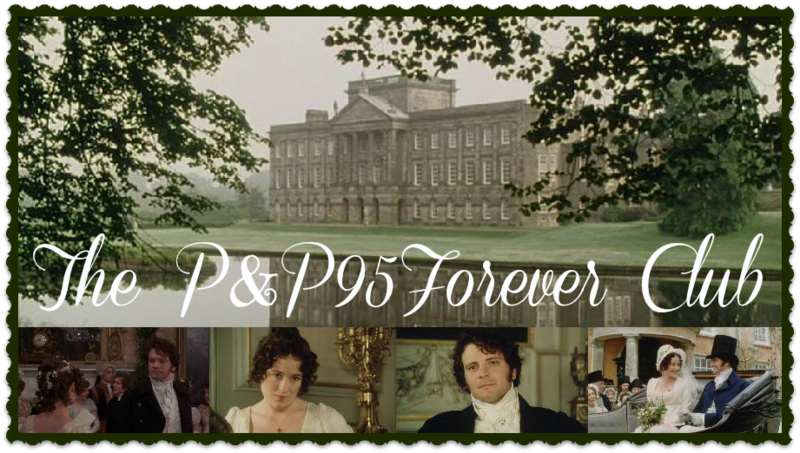 I think one would be willing to put up with a good deal to be mistress of Pemberley. 3. I am resigned. Resignation is never so perfect, as when the blessing denied begins to lose somewhat of its value in our estimation. 4. What's the matter, Mamma? Why do you keep winking at me? What am I to do? 5. Well, well, what do we live for, but to make sport for our neighbors, and laugh at them in our turn? 6. The very rich can afford to give offense wherever they go. We need not care for their good opinion. 7. Well, we must allow her to be an excellent walker, I suppose. But her appearance this morning—she really looked almost wild. 8. I know you find great enjoyment in professing opinions which are not your own. 9. We must stem the tide of malice, and pour into each other's wounded bosoms the balm of sisterly consolation. 10. You think that, Jane, if it gives you comfort. Well, now I feel like all my episode guesses are wrong, since numbers from the same episodes are all next to each other, except for the two 3's. I have such a difficult time keeping the episodes sorted in my memory! 1. Lady Catherine, episode 3?-well, it is disc two, I forgot how many episodes you all said there were-Emma and North and South were 4-I think, but it seems this was 6. I will just not even try. 3. Hah, Mr. Collins. Actually, sir, I do believe it is quite the opposite. 4. Kitty-I would be apt to be oblivious just like she-I canna help it. 5. Mr. Bennet. Episode 3? Your score is 95! :) The only thing you missed was the episode on #1. (That one can be tricky!) Excellent! The only one you missed was the episode for #8, so your score is 95! Great job!